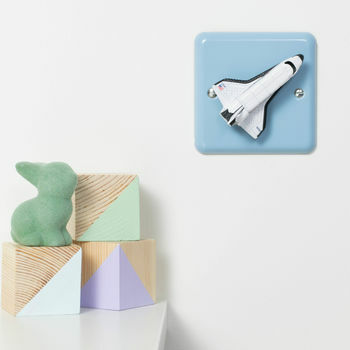 A pastel duck egg blue space shuttle dimmer light switch, the perfect addition to the nursery for a new born baby. 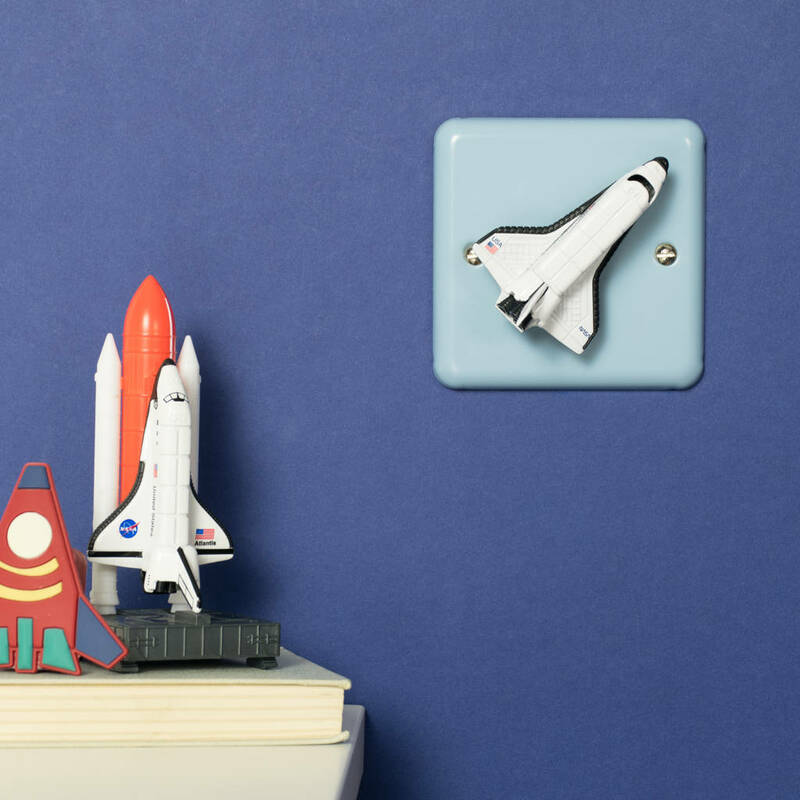 Why settle with a light switch cover when you can replace the whole light switch for one with an almost guaranteed WOW factor! 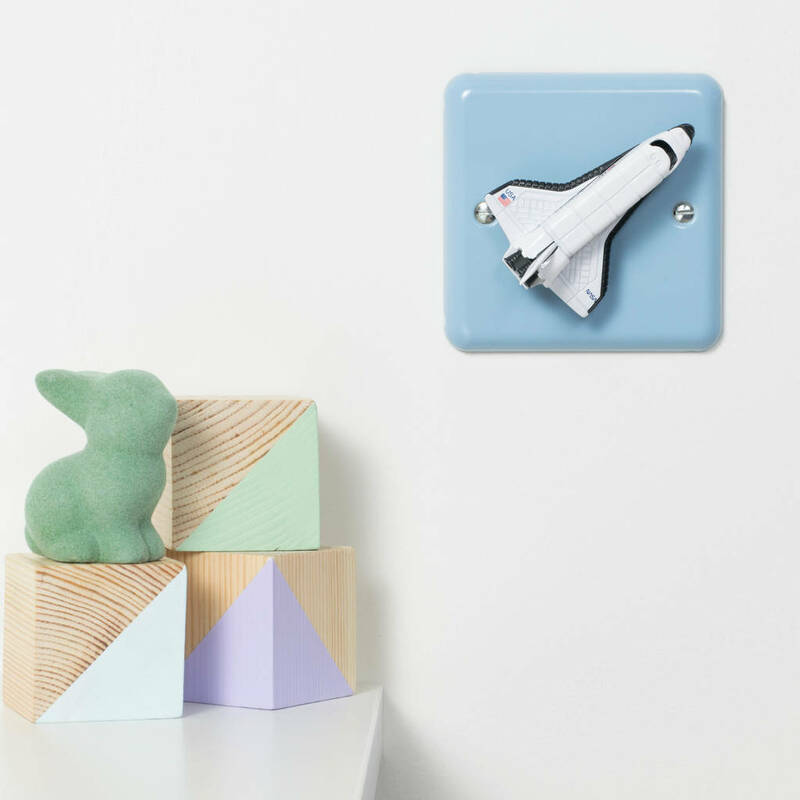 Featuring a space rocket as the rotary on/off switch on a pastel blue reto metal light switch plate, this beautiful switch is ideal for the modern nursery or child’s bedroom. 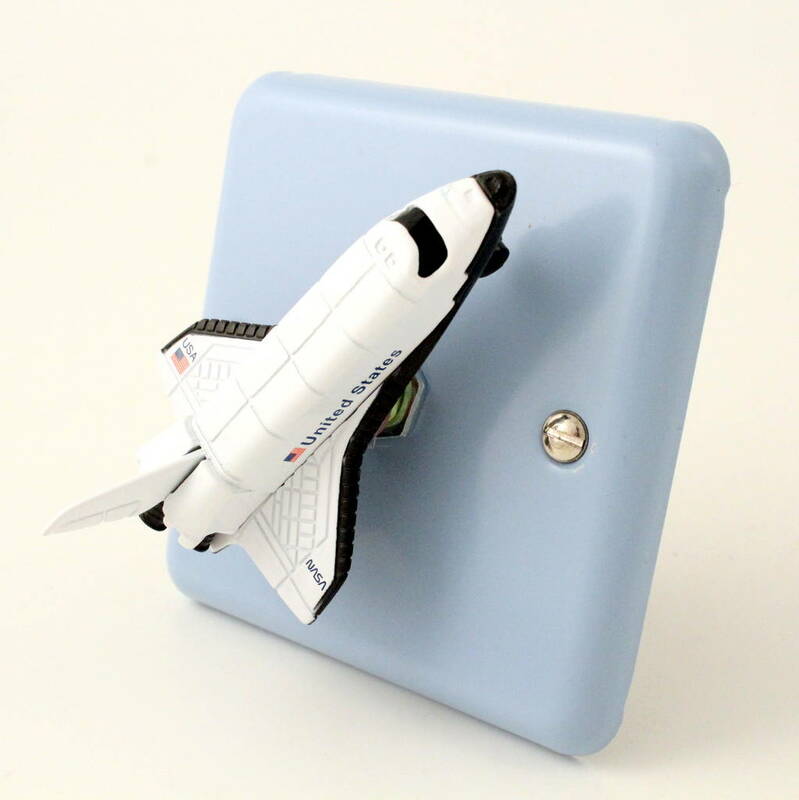 Simply rotate the rocket to turn on the dimmer switch for the perfect level of light. 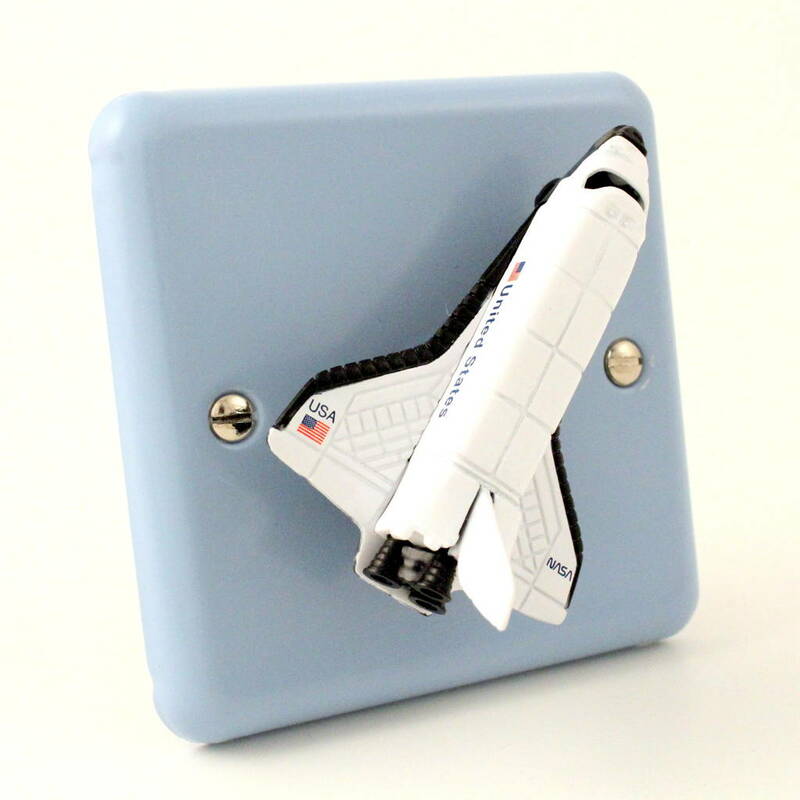 Each light switch is made by hand in the UK using quality British Made Varilight parts and Candy Queen styling. 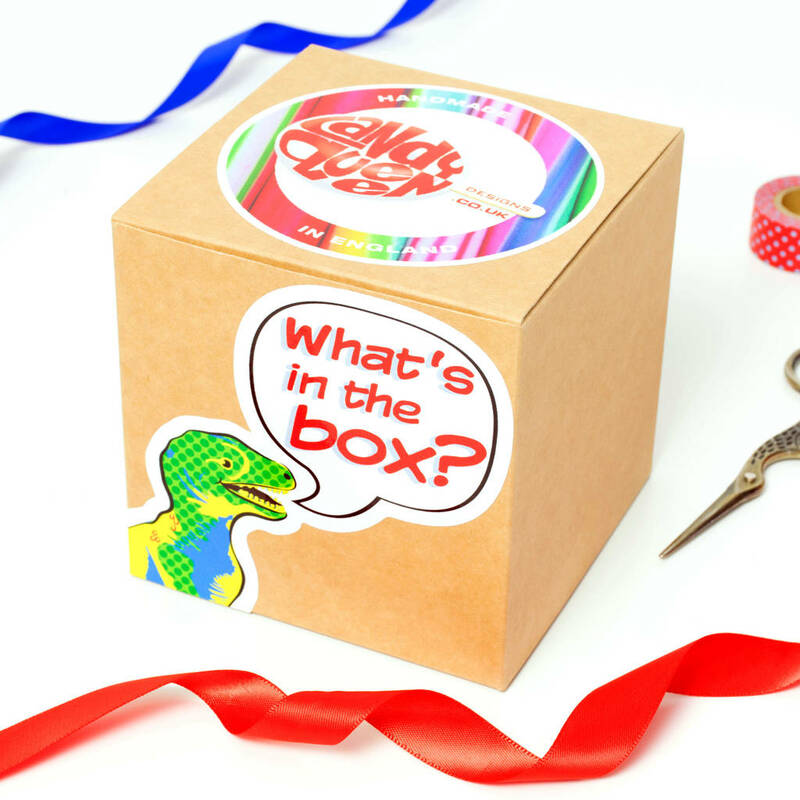 Your light switch will come packaged in a high quality kraft gift box featuring the Candy Queen logo. 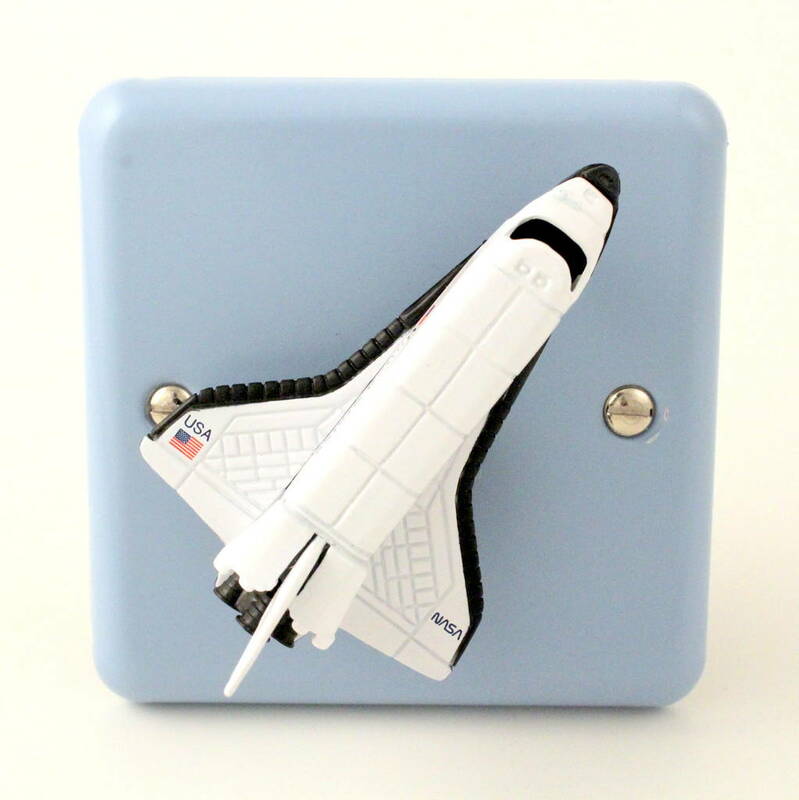 Please note that this is an entire light switch unit, not a decorative cover. Full fitting instructions are included. 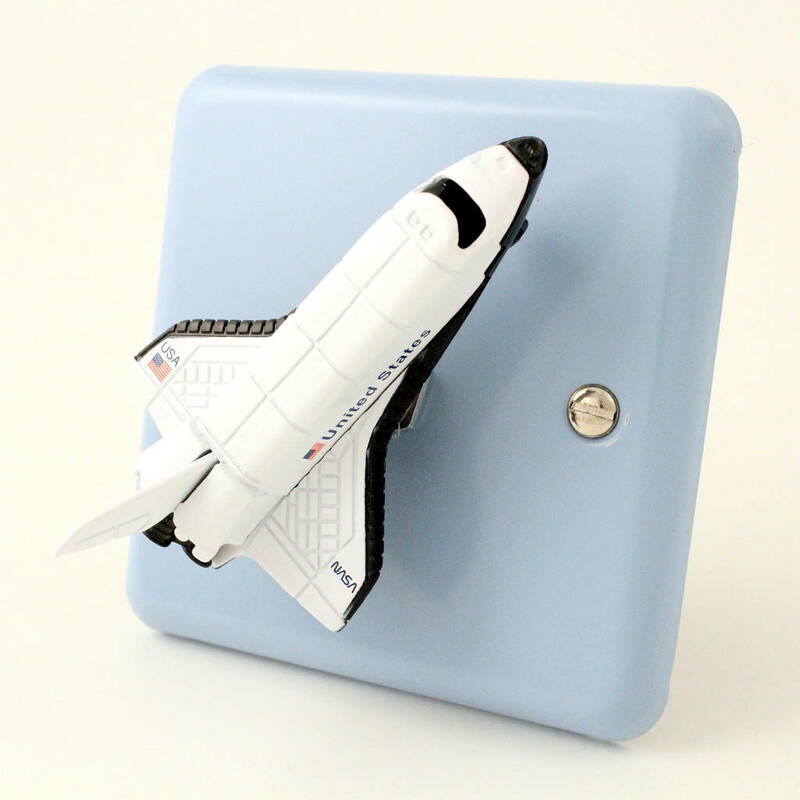 One-way dimmer switch (400 w) with a rotary switch (‘click’ on/off). Ideal for most bedrooms but NOT suitable for LED lights. 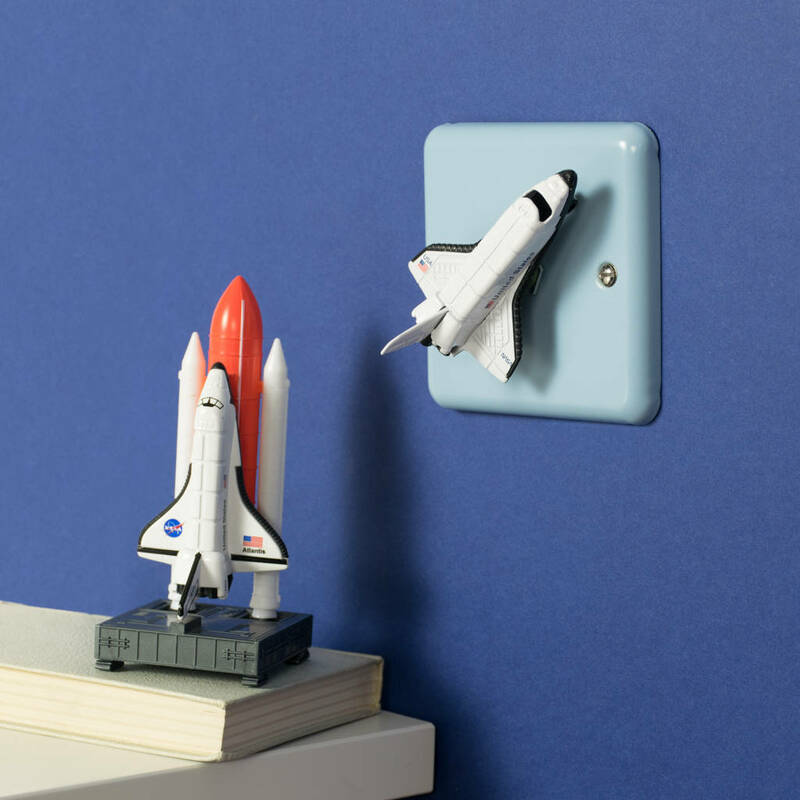 Energy efficient, our dimmer switches save electricity and extend the life of your bulbs. 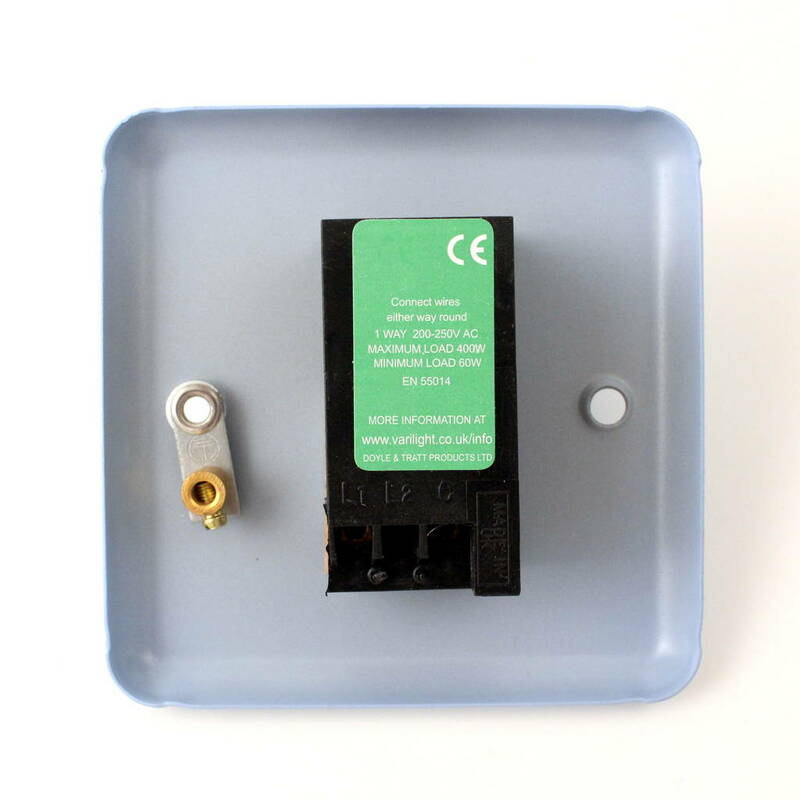 Candy Queen light switches are recommended for mains voltage use. This product is dispatched to you by Candy Queen Designs.